Nagoya is booming. Much of the buzz in Japan’s 4th largest city is due to the fact that it is home to some of the world’s biggest automobile companies such as Toyota, Mitsubishi and Honda. These companies helped shaped Nagoya’s landscape. Perhaps because of its industrial core, most tourists traveling to Japan hightail Nagoya for its more famous neighbors like Osaka, Kyoto and Tokyo. But Nagoya is more than just a bustling economic powerhouse, it is also a perfect base for touring Central Japan. My recent travel to Nagoya and Central Japan convinced me this region has some of the most beautiful destinations in the country. Without further ado, here’s my Nagoya travel guide to help you plan your trip. Nagoya is the capital of Aichi Prefecture situated in Chubu Region, in Central Japan. Chubu is composed of 9 prefectures: Aichi, Gifu, Nagano, Toyoma, Gifu, Shizuoka Ishikawa, Niigata, Fukui and Yamanashi. 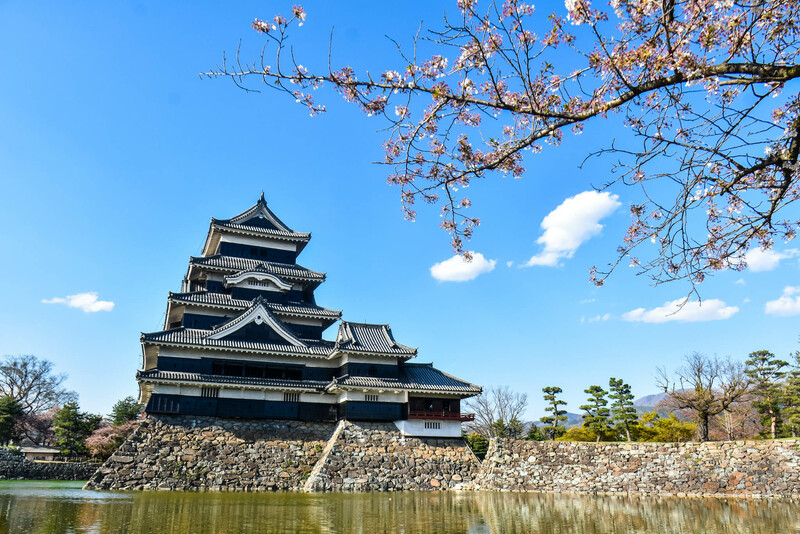 In this blog, I will discuss about Nagoya including the best sidetrips when visiting this largest city in Chubu Region. This includes a visit to Gifu, Nagano and Toyoma Prefecture. 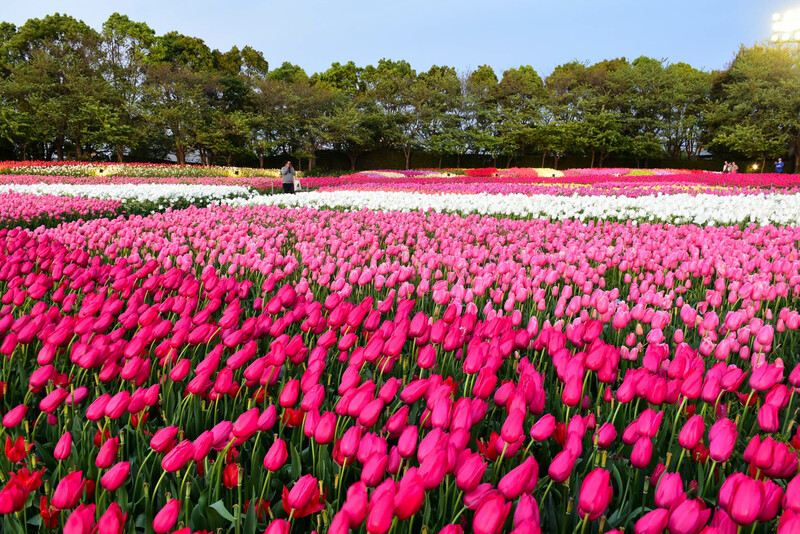 We visited Nagoya and Central Japan during spring (March to May), and I must say it’s one of the best seasons to visit since the colorful flowers are in bloom almost everywhere. 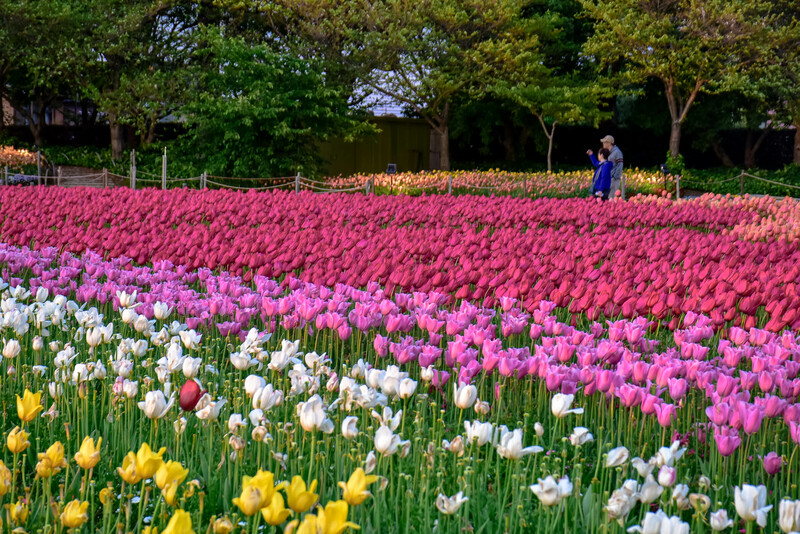 Best place to see a variety of flowers though is at Nabano no Sato, don’t miss their Tulips Festival and Winter Illumination that run until early May. Weather is pleasant too, so you can explore Nagoya without worrying of too much humidity or too much cold. I reckon it will also be lovely to visit Nagoya and Central Japan during autumn (October to November), I can imagine how Nagoya will transform into a kaleidoscopic world when the foliage turn tangerine and crimson! 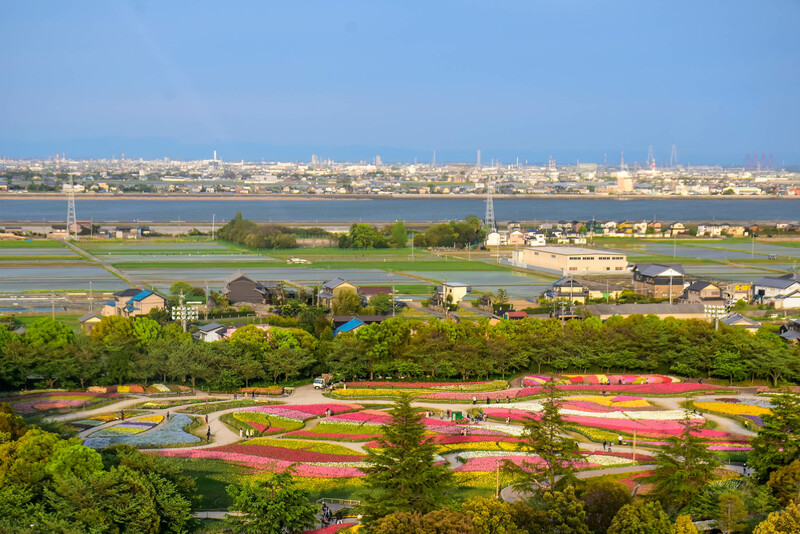 If you are planning to visit the top foliage spots in Nagoya and Aichi, book your trip around mid to late November. 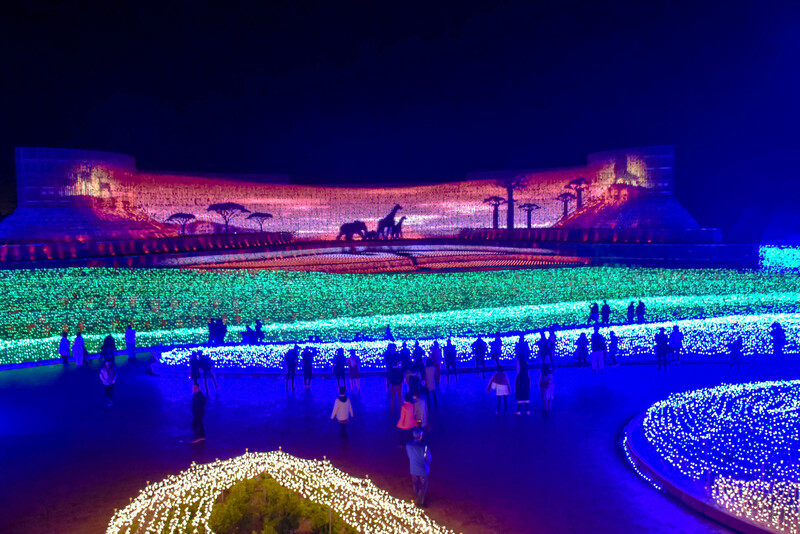 Nonetheless, Nagoya and Central Japan is a year-round destination, offering tourists a varied surprise whatever the season is. Nagoya uses Japanese Yen (JPY). The current rate is around JPY 1 = PHP 0.45 / USD .0091. You can exchange money at the airport, money changers or withdraw from ATM machines at convenience stores like 7Eleven, Lawson or Family Mart. There are also International ATM machines in some main train stations. There’s an International ATM at the ground floor of Oasis 21 i Center bus terminal. Make sure to inform your bank that you will be traveling to Japan to avoid any hassle when withdrawing money from your card. Though most establishments take cards, stack up Japanese Yen, since they prefer cash. Most people speak Nihongo (Japanese), so prepare your Google Translate App. If you plan to travel to certain destinations, ask the hotel staff to write the Japanese character in a piece of paper. This way, you can show it to the locals, in case you get lost and need to ask directions. But of course, if you have Wi-Fi, Google Maps and Hyperdia.com are your best friends in Japan. Since English isn’t widely spoken in Nagoya and Central Japan, you need to rely on the internet for directions and Google maps. It is recommended to have Wi-Fi access as soon as you land in Nagoya. You can get one at the airport, but devices may run out quickly, so best to rent a portable Wi-Fi device ahead of time. You can RENT A POCKET WI-FI HERE and just claim the device at the airport (all Japanese International Airport) upon arrival. It’s the cheapest rate I’ve seen so far. Chubu International Airport also called CENTRAIR is the main airport of Nagoya and Central Japan. From Tokyo, you can take the Shinkansen train to Nagoya for 1 hour 44 min. Fare is JPY 10, 680 (PHP 4,826/ USD 98). Alternatively, you can take a Willer Bus for about JPY 2,500 (PHP 1,130 / USD 23) from Tokyo to Nagoya. Travel time is roughly 7 hours. You can also take Meitetsu Bus, JR Bus and other highway buses. From Kyoto, take a Shinkansen train to Nagoya. Travel time is about 36 minutes, fare is JPY 5,600 (PHP 2,530 /USD 51). Alternatively, you can take a Willer Bus for roughly JPY 3,600 (PHP 1,627 / USD 33), transit time is about 2 hours. You may also take JR Bus, Meitetsu or other highway buses. From Osaka, you can take the Shinkansen train to Nagoya for JPY 6,360 (PHP 2,874/USD 58), transit time is 66 minutes. You may also board a Willer Bus for about 2 hours 20 minutes. Fare is approximately JPY 2,500 (PHP 1130 / USD 23). 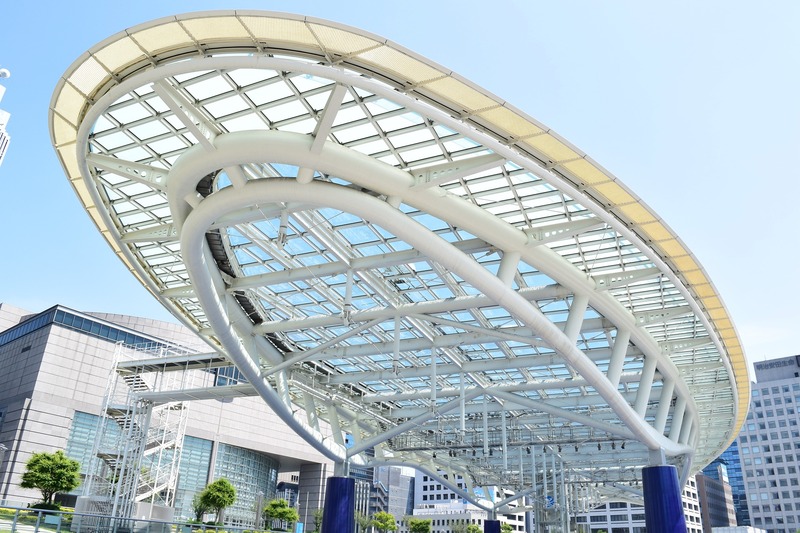 The fastest way to get from Nagoya Airport (Chubu Centrair) is by taking the express train to Nagoya Station (Meitetsu Line) for approximately 28 minutes. The train leaves for Nagayo Station and Sakae every hour from 9:15 AM to 10: 15 PM. Airport train fare is JPY 1, 230 (PHP 550 / USD 11). For the airport train time table, check here. There are buses that run from Nagoya Airport/ Chubu Centrair to downtown Nagoya. See table below for bus fare and destinations in Nagoya area. For airport bus fares and transit time to other destinations outside Nagoya area, you can check here. The bus has 7 stops. Refer to the table below. For hassle-free transfer from Nagoya Airport (Chubu Centrair) to your hotel or shopping malls. Fare is JPY 1,200 (PHP 536 / USD11) for adults. JPY 600 (PHP 267/ USD 5.43) for kids. Transit time is roughly 55 minutes to Sakae Station and about 88 minutes to Nagoya Station. Since the airport train last trip is around 10:15 PM. If you are arriving at Nagoya Airport late at night or early in the morning, you can ride the Airport Liner. Fare is JPY 1,500 (PHP 670 / USD 14) for adults and JPY 750 (PHP 335 / USD 7) for kids. Travel time is about 55 minutes. See the timetable below for trips between Nagoya Airport (Centrair) and Nagoya Station (West Gate). The airport buses is at the 1st floor of the Passenger Terminal Building in Centrair. The only way to get to the airport bus boarding point is via the Access Plaza. You can get to the Access Plaza from the Airport Arrival Lobby. Pay to the driver upon boarding the bus. See Airport Liner’s schedule below. Just like the rest of Japan, the subway is a convenient way to get around Nagoya. The subway runs from 5:30 AM to 12:30 AM. One way fares range from JPY 210 to JPY 300. Meitetsu Lines connects Nagoya to Gifu, Inuyama and Okazaki. Nagoya Station is the main hub, this is where you can find the JR Bus Center and the Meitetsu Bus Center where you can ride the buses going to different destinations outside Nagoya. Another way to get around Nagoya is the One Day Bus and Subway Pass as it entitles you to unlimited rides on subways and city buses. Fare is JPY 850 (PHP 380 / USD 8). You can purchase this pass at the ticket machines in subways stations, inside city buses, Kanayama Tourist Information and at Oasis 21 i Center. If you are in Nagoya on a weekend, you can save JPY 250 (PHP 112 / USD 2.26) by purchasing the Weekend Eco-Pass for unlimited rides around Nagoya. Aside from weekends, you can also use the Weekend Eco-Pass during national holidays and on the 8th of each month. You can buy the Weekend Eco-Pass at the ticket machines inside city buses, subway stations, Oasis 21 i Center and at Kanayama Tourist Information. IMPORTANT: You can’t use the One Day Bus & Subway Pass and the Weekend Eco-Pass at Meitetsu Buses, Aonomi Line, Linimo and the elevated section of the Yutorito Line. You can get discounts at selected establishments and sites when you show your pass. 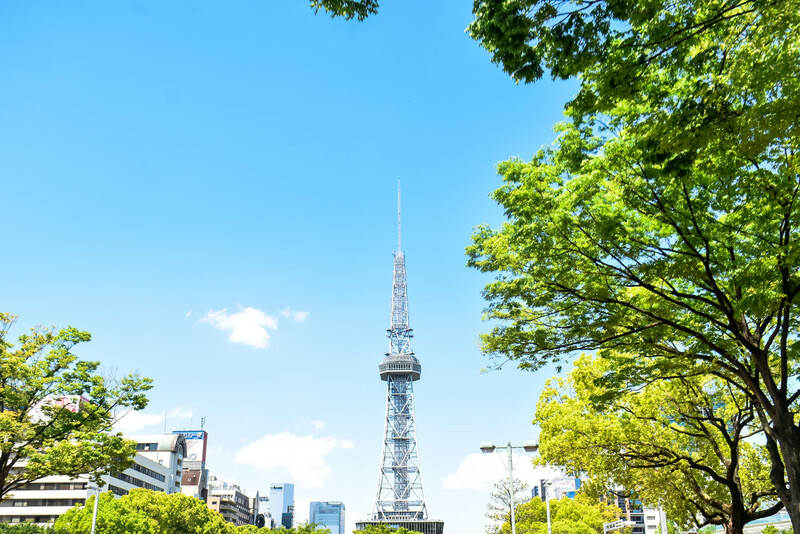 One of the most convenient ways to get around Nagoya City is by riding the Meguru Sightseeing Bus, available from Tuesday to Sunday (no Monday, sorry). The bus departs every 20 to 30 minutes on weekends (and holidays) and every 30 minutes to 1 hour on week days. One Day Pass is JPY 500 (PHP 223/ USD 5) for adults and JPY 210 (PHP 94 / USD 0.85) for children. The ticket also offer discounts to admission fees on various tourist destinations. Tickets can be purchased inside the bus, in major hotels, Kanayama Tourist Information Center and at Oasis 21 i Center. Head to platform #8 of the City Bus Terminal where Meguru buses depart. Exit from Nagoya Station Sakuradori exit area. Once you are outside the station building, turn left and keep walking until you pass the taxi terminal. Take a right turn and walk straight until you see the large road intersection and turn left. IMPORTANT: Just follow the route as it is when you leave Nagoya Bus Station. The bus returning to Nagoya Station at 5:00 PM will not stop at Nagoya Castle, Noritake Garden and Toyota Commemorative Museum. If Osaka has ICOCA Card, Nagoya has Manaca Card. You can purchase this rechargeable card at the subway stations in Nagoya. I recommend staying near the subway station for convenience. Nagoya Station is the main hub, here, you can you find the Meitetsu Bus Center and JR Bus Center. Sakae Station in downtown Osaka is also a good choice because it is near most attractions in Nagoya like the Nagoya TV Tower, Art Café Sakae and Oasis 21 i Center bus station, and it is just one train ride away to Nagoya Castle and Nagoya City Hall (take the brown line subway/ private line). My fave food in Nagoya is the delicious Nagoya-style eel called Hitsumabushi. This meal is composed of chopped broiled eel on top of a bowl of rice. This is traditionally eaten in 4 stages: first, you can eat it as it is, then try it with sprinkled onion, nori seaweed and other condiments. Then, pour the broth soup over the eel. 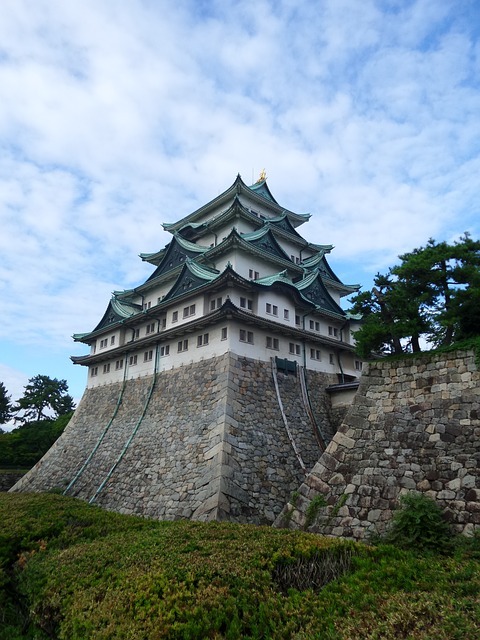 One of the most renowned castles in Japan is Nagoya Castle built through the orders of Ieyasu Tokugawa. Its rooftop is decorated with golden dolphins/grampus (kinsachi), which is the symbol of Nagoya. Open Hours: 9:00 AM to 4:30 PM (Entry to castle and buildings until 4:00 PM) Daily. Closed on Dec 29 – Jan 1. Take the subway train (Meijo Line/Purple) to Shiyakusho (City Hall) Station (M07). Walk for about 5 minutes to Nagoya Castle. Fare is roughly JPY 240 (PHP 108 / USD 2.19). If you are taking the Meguru sightseeing bus, Nagoya Castle is the 3rd stop and it’s about a 3 minute walk from the bus stop. Built in the confines of the erstwhile house of the Owari family, one the major branches of the Tokugawa family. The Tokugawa Art Museum showcases the treasures of the Owari’s including armos, samurais, swords, maps, scrolls and masks. Take Meijo Subway, Meitetso Setu Line or JR Chuo to Ozone Station. The Tokugawa Museum is just a stone’s throw away. Nagoya TV tower is the poster boy of Nagoya. Head to the Sky deck for a panoramic view of Nagoya City, best to come here at night for the romantic nightscape. From Nagoya Station, walk for about 20 minutes to Toyota Commemorative Museum. 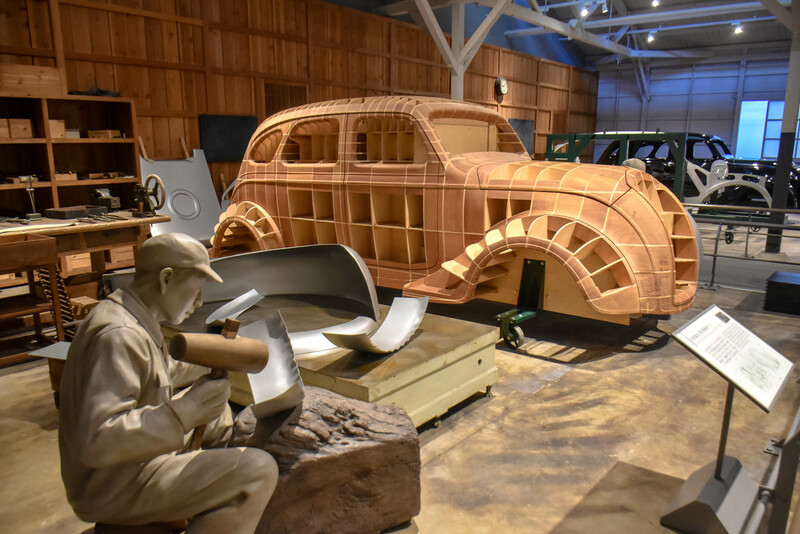 If you have the Meguru Sightseeing Bus Pass, Toyota Commemorative Museum is the 1st stop. From Nagoya Station, walk for about 15 minutes to Noritake Garden. If you are taking the Meguru Sightseeing Bus, this is the 2nd stop. As the name suggests, SMAGLEV museum showcases the advances of high speed trains though 39 rolling stock displays from different periods. The first Shinkansen train in Japan is also displayed here. Take the Aonami Line and alight at Kinjofuto Station. Travel time is about 25 minutes and fare is JPY 350 (PHP 158 / USD 3). SMAGLEV and Railway Park is near Legoland. Legoland is Japan’s newest theme park, which opened last April 2017. You can BUY LEGOLAND TICKETS HERE to experience its 40 different attractions including varied shows, activities and rides! Best for families and kids traveling to Nagoya. Ride the Aonami Line to Kinjofuto Station. Transit time is about 25 minutes and fare is JPY 350 (PHP 158 / USD 3). Legoland is near SMAGLEV and Railway Park. Dubbed as the twin towers of Nagoya, located just beside Nagoya Station. Rush to the 15th floor called “Sky Street” for a panoramic view of Nagoya City. Alight at Nagoya Station. JR Central Tower is right beside this subway station. This stylish building that looks pretty much like a space ship is fringed by shops, cafes and bus terminal for city buses and highway buses to destinations like Tokyo. Head to the rooftop for a scenic view of Nagoya Tower and surroundings. There’s a Tourist Information Center at the Galaxy Platform where you can get helpful pamphlets. One of the most significant Sinto Shrine in Nagoya is the Atsuta Shrine where the Sun Goddess Amaterasu is enshrined and the sacred sword kusunagi (not open to the public). While you are it at, try Nagoya’s local dish – kishimen noodles at the restaurant in the shrine ground. Take Meijo Subway Line and alight at Jingu Nishi Station (M27) and walk towards the shrine for approximately 3 minutes. If you have a JR Pass, ride the JR Tokaido Line from Nagoya Station to Atsuta Station. Walk towards the shrine for about 10 minutes. The admission fee includes a JPY 1000 (PHP 452/USD 9) gift certificate to be used inside the park. Take JR Kansai Line local for Kameyama. 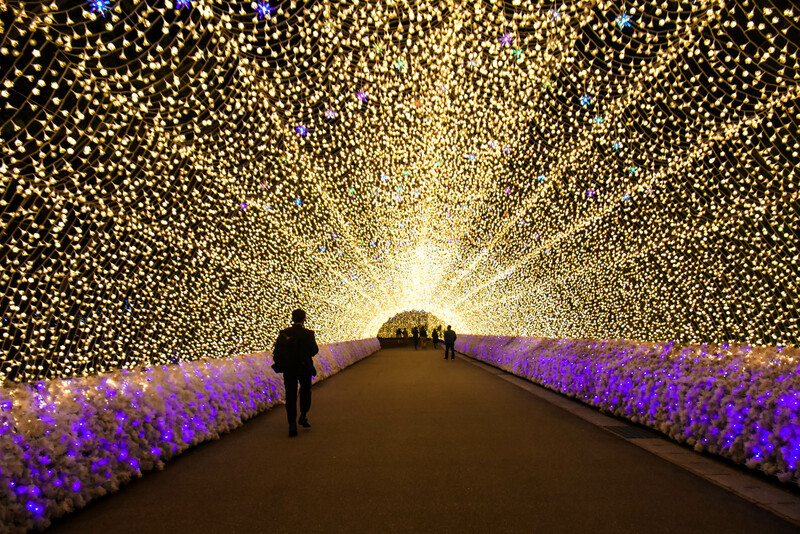 Alight at Nagashima Station (during Winter Illumination) or Kuwana Station. Travel time is about 29 minutes. Fare is JPY 320 (PHP 145 / USD 3). Alternatively, you can also take a bus bound for Nagashima Onsen at Meitetsu Bus Center next to Nagoya Station. Alight at Nabano no Sato or Nagashima Onsen. Fare is about JPY 890 (PHP 402 /USD 8 ) to JPY 1,060 (PHP 479 / USD 10). 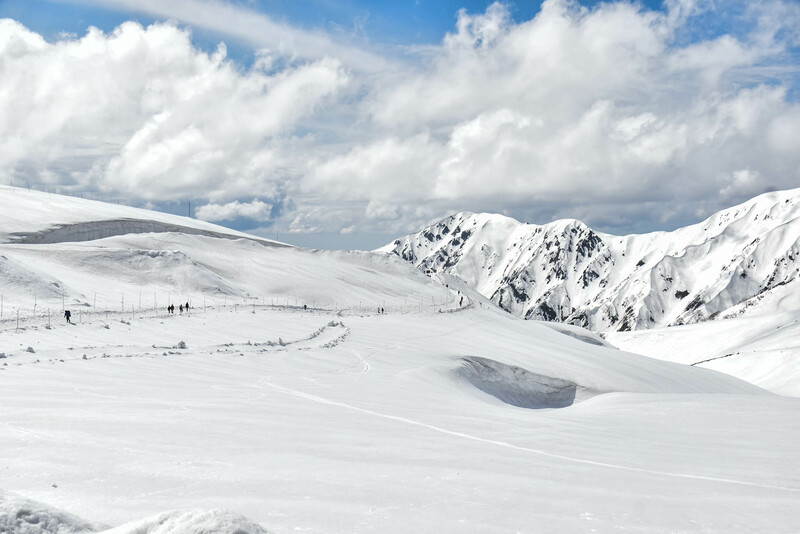 Nagoya is the gateway to Central Japan, so it is highly recommended to include a tour to some of Central Japan’s most beautiful attractions including Shirakawago, Takayama, Nagayashima and Tateyama-Kurobe Alpine Route. With this tour, you’ll be able to visit 2 UNESCO World Heritage Site. 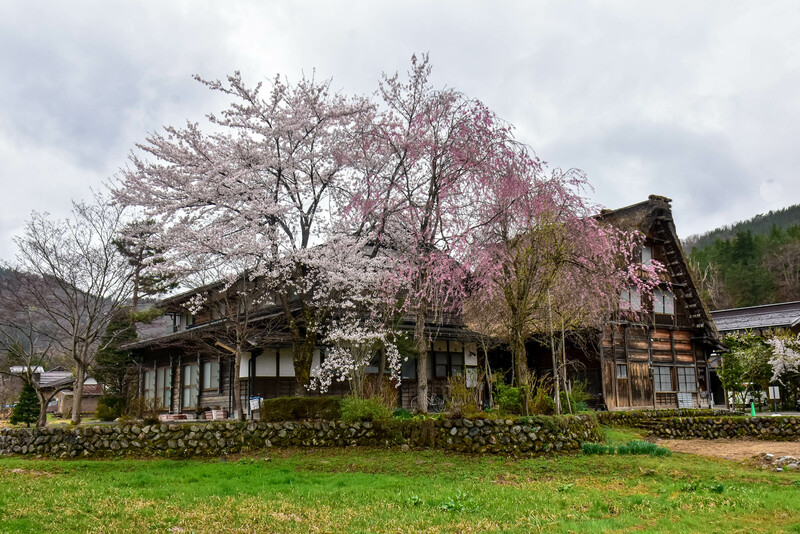 Suganama is part of Gokoyama known for its gassho-zukuri farmhouses. 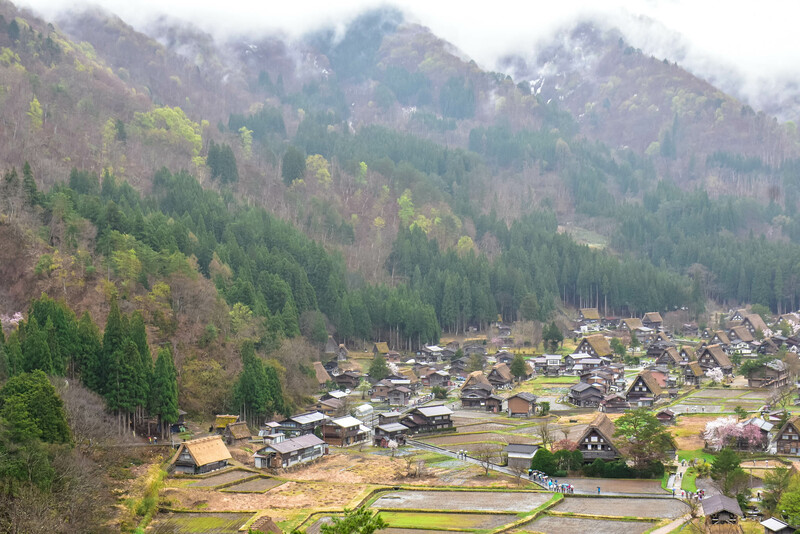 It is composed of Gokayama Gassho no Sato and Suganuma Village, a UNESCO World Heritage Site along with Ainokura Village and Ogimachi, the largest village in Shirakawago. BOOK GOKAYAMA SUGANUMA AND SHIRAKAWAGO BUS TOUR HERE. 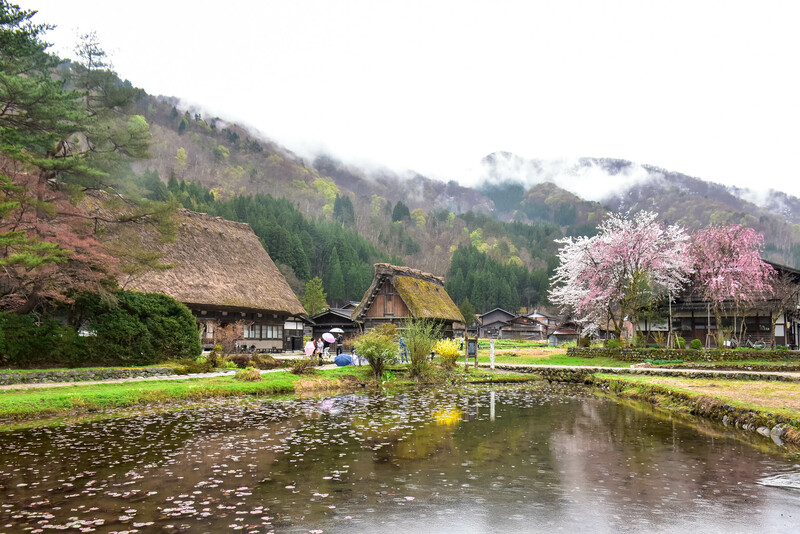 This tour is highly recommended, as you will get to the old district of Takayama and a visit to the UNESCO World Heritage Site, Shirakawago Village. Lunch buffet is included. 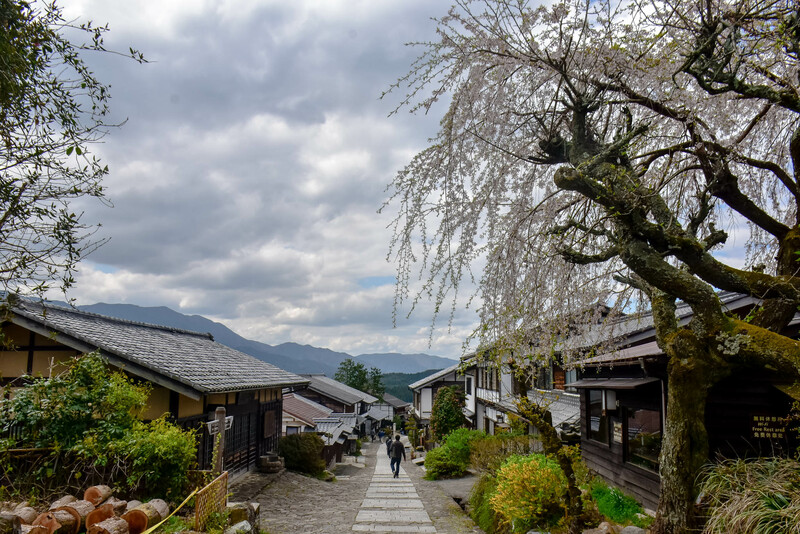 You can BOOK YOUR SHIRIKAWA VILLAGE + TAKAYAMA TOUR HERE. 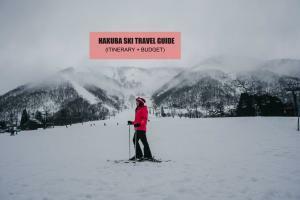 If you want to do a DIY Tour of Shirakawago plus Takayama and other destinations in Chubu Hokuriku region of Japan. 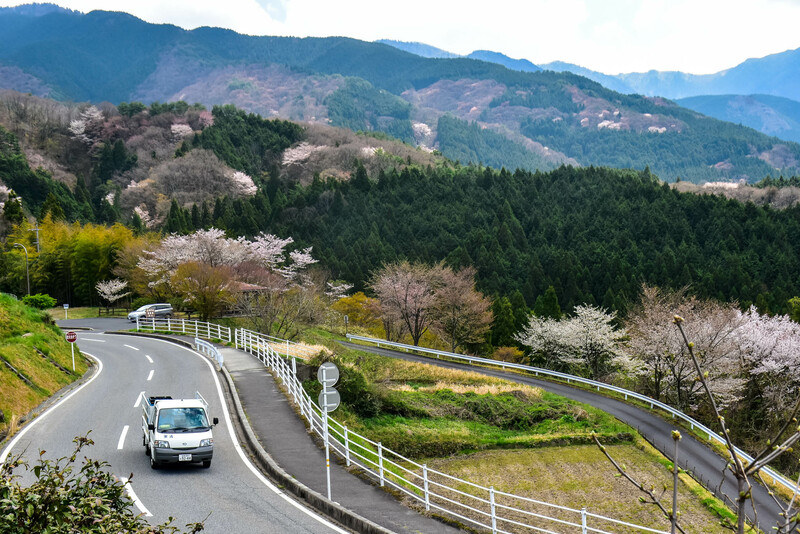 You can PURCHASE THE SHORYUDO HIGHWAY BUS PASS HERE which enables you to hop on board an unlimited number of bus rides around the Chubu Hokuriku region of Japan. 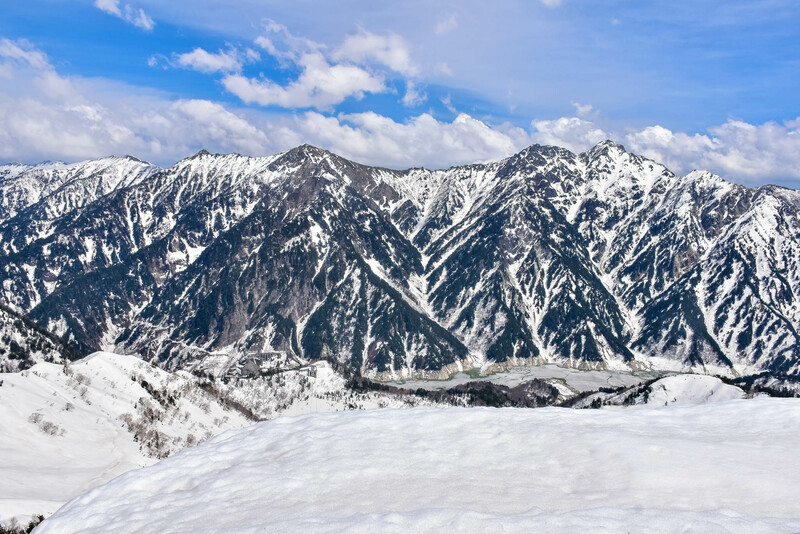 The 3 or 5 day bus ticket is a convenient way to navigate around the Takayama, Shirakawago, Kanazama, Toyama and Nagoya areas. Take a bus bound for Takayama from Nagoya via JR Bus, Meitetsu or Nohi Bus. Bus Terminal is at Nagoya Station or Oasis 21 Bus Terminal. One Way fare for Meitetsu Bus is JPY 2,980 (PHP 1,347 /USD 27), roundtrip fare is JPY 5,140 (PHP 2,323 / USD 47). 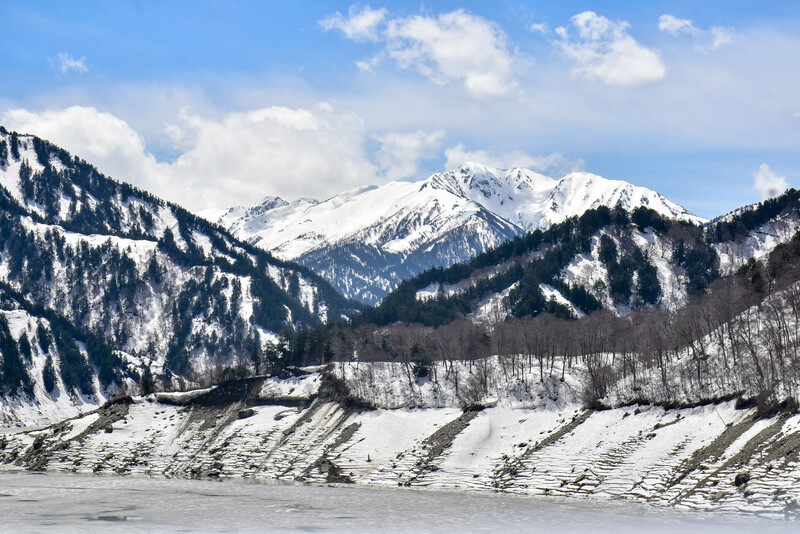 I suggest getting a 3 Day Shoryudo Highway Bus Pass for about JPY 7,000 (PHP 3,199 / USD 65), because you get to enjoy a discount of over 35% from your travels around the Takayama, Shirakawago, Kanazama, Toyama and Nagoya areas – all with one pass. 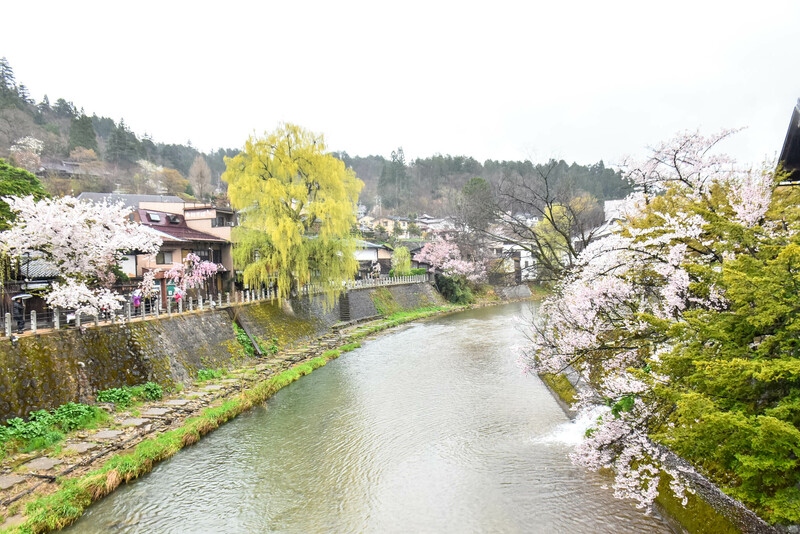 So you don’t just visit Takayama, you can also visit the aforemntioned destinations. There’s also a 5 day Pass. 12:00 AM Freshen up. Sleep. 08:00 AM Meitetsu Bus Center. ETD for Shirakawago. 11:30 AM ETA Takayama City. Explore Takayama. 08:30 AM ETD Shiyakusho Station (M107). Explore Nagoya Noh Theater, Nagoya City Hall, Nagoya City Archives and Nagoya Castle. 11:00 AM Subway Osu Kannon Station (T08) or Subway Kamimaezu Station (T09/M03). Explore Osu Kannon Temple. 01:00 PM ETD for Jingu Nishi Station (M27). 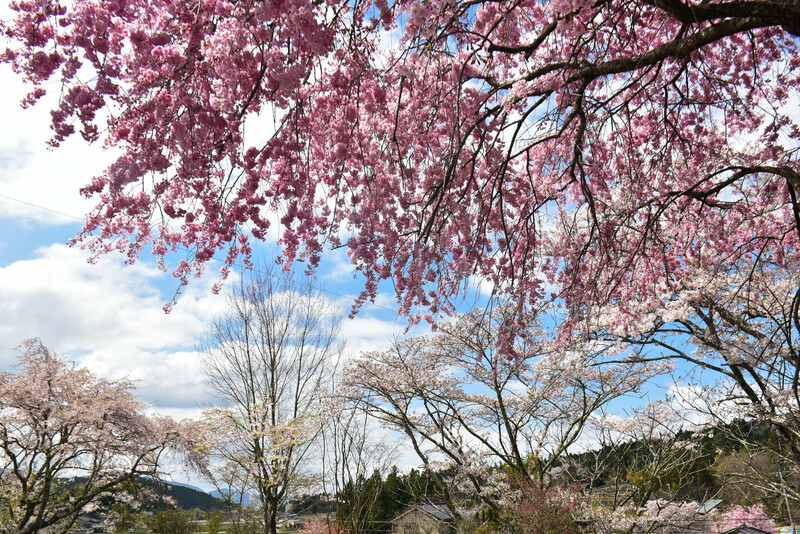 Explore Atsuta Shrine and Shirotori Garden. 03:00 PM ETD for Sakae Station (M05). Nagoya TV Tower, Oasis 21, Art Café Sake and go shopping. Here’s a sample budget for a 3 day 2 night trip to Nagoya and Central Japan. 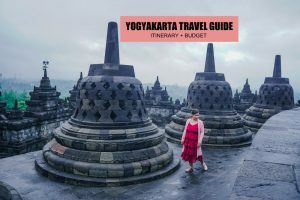 Of course, budget will vary depending on how long you’ll be staying, the activities and tours that you will try, the food, hotel and shpping. JPY 3,537 (PHP 1,600 / USD 32) x 3 = JPY 10,611 (PHP 4.795/ USD 97 ) Hotel 3 nights. JPY 3,537 (PHP 1,600 / USD 32) per night. I’ve just one question about the wifi rental, what if I arrive after their office in the airport closes? Good day Gael, it is possible not to book bus ticket in advance going to takayama from nagoya? Thanks! hi! we are planning to go to osaka, nara and kyoto from nagoya, what pass should we buy? Hi, I have been to Osaka-Kyoto last year Nov. 2017. 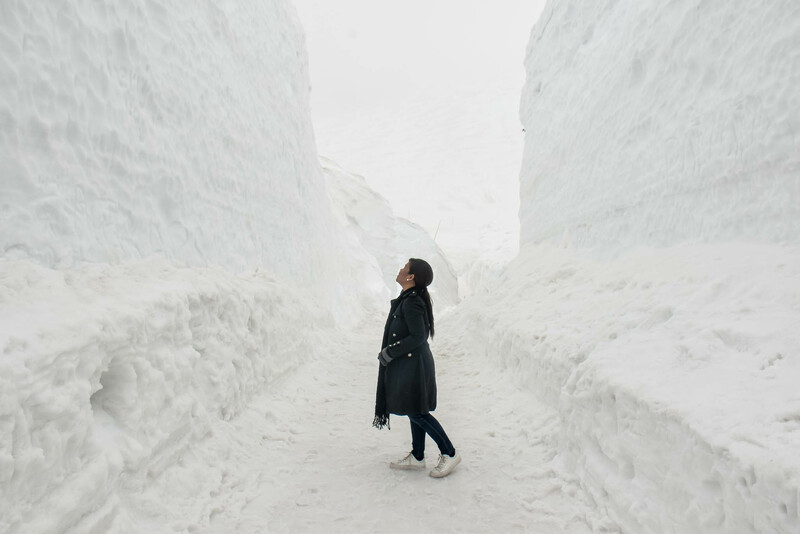 On Jan. 2019, we plan to experience winter in Japan and we will be staying in Takayama and Nagoya. Can I still use my ICOCA card when we travel by trains within Nagoya City by that time?